Clean the engine oil cooler housing to thermostat housing sealing surfaces. 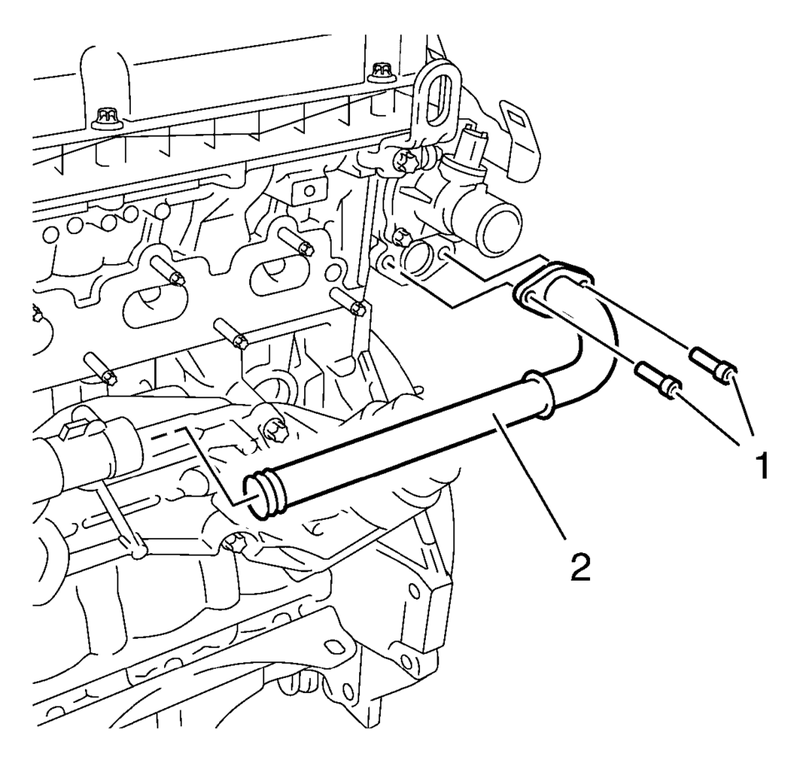 Install the engine oil cooler inlet pipe (3). 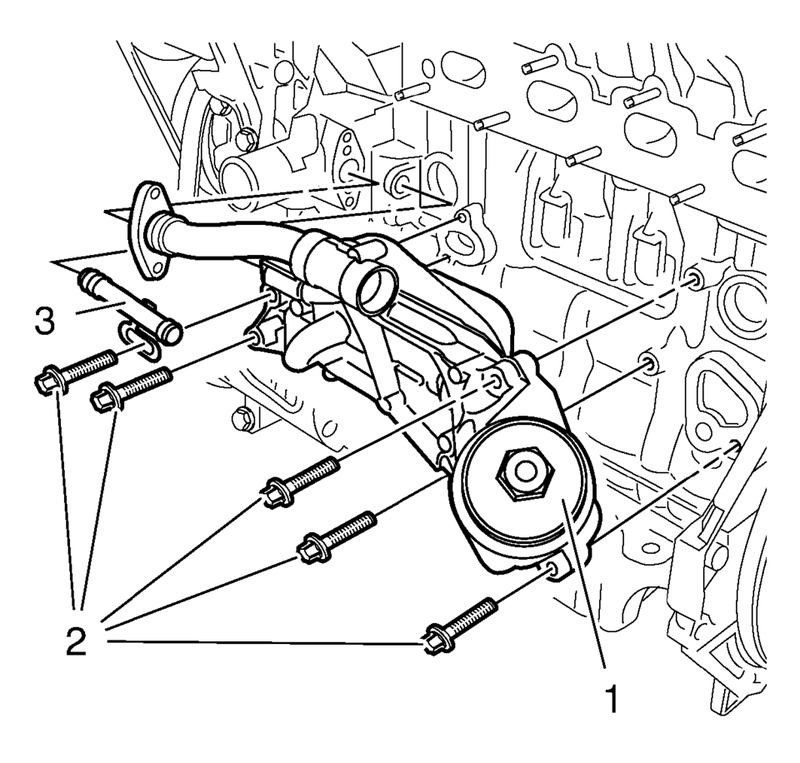 Install the thermostat housing coolant pipe (2) to the engine oil cooler housing.